But construction hadn’t even started and the opening date for the swank 205-room resort on prime Lincoln Drive land kept getting pushed back because of permitting issues with Paradise Valley. A late 2018 opening became a March 20, 2019, opening. Competition will be tough. Some of Arizona’s nicest resorts, including Sanctuary on Camelback Mountain and the Camelback Inn, call Paradise Valley home even if they claim Scottsdale as their location in marketing materials, much to the chagrin of Paradise Valley Mayor Michael Collins. Collins, who said he’s been a supporter of the resort since he was on the Paradise Valley planning commission more than a decade ago, thanked Ritz and Five Star for putting Paradise Valley in the resort’s name and for sticking with the project all these years. Humler acknowledges the competition but says the Ritz will stand out for its service. The resort’s 350 employees will be known as “ladies and gentlemen serving ladies and gentlemen,” the chain’s hallmark, and will be trained intensively. “It’s not working for a paycheck. It’s delivering excellence and having fun doing it,” Humler said. A group of residents called Preserve Our Paradise quickly rallied against the plan and collected enough signatures to force a referendum. While the group supported the idea of a Ritz-Carlton resort, it opposed the density of the project’s residential units. It’s planned to have 81 villas and 40 homes. Many Paradise Valley residential lots are an acre or more, and critics argued that the smaller lot sizes around the resort would be a bad fit for the town. The referendum vote swung heavily in Five Star’s favor, with residents approving the measure by a 2-1 ratio in November 2008. Before construction could begin, however, the Great Recession hit and Ayoub tabled the plans indefinitely. Ritz-Carton’s Humler said he’s never met a hotel developer who has worked on a site for 15 years. 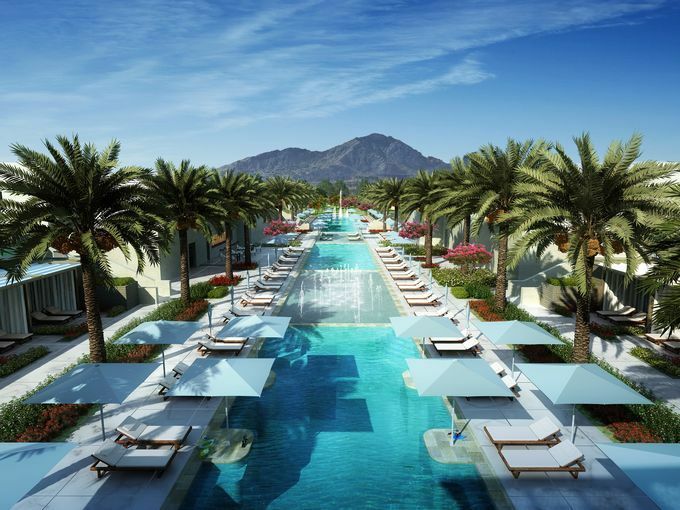 TynanGroup is the Project Manager for the Ritz Carlton Paradise Valley.